Custom built home set on 5.23 acres of nature. 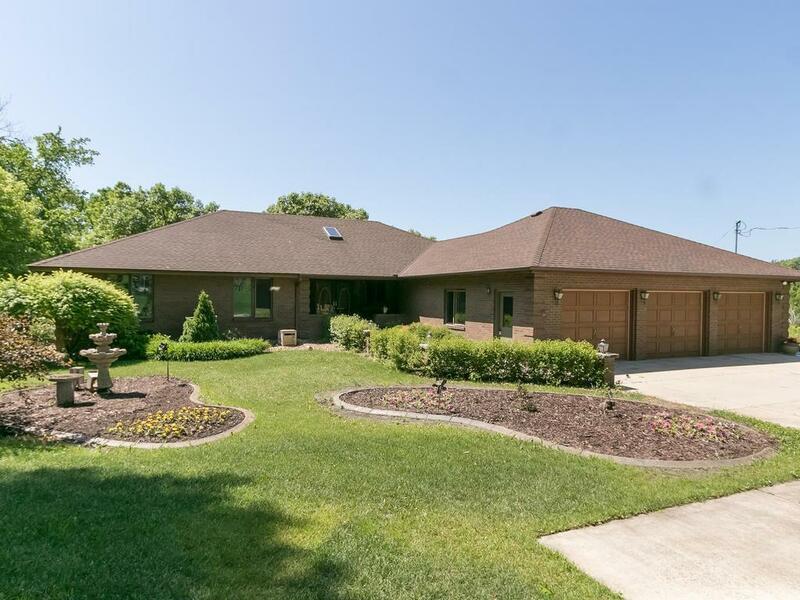 With 5 BD, 5BA, this 4200+ square foot home has granite counters, hardwood floors, custom cabinets, recessed lighting, new carpet, paint, knockdown ceilings on main, beautiful deck, sunroom overlooking the pond, 2 fireplaces, 2 kitchens, laundry on main, zone heat, cedar closet, wet bar, 6 car heated and insulated garage with epoxy floor up and floor drains, cedar garage doors and much more. All living on one level!